Coordinator of President Muhammadu-Buhari Campaign Council in Anambra, Senator Andy Uba on Thursday pulled a mammoth crowd of Ndi-Anambra for President Muhammadu Buhari's presidential campaign rally. Sen Uba worked tirelessly to ensure there was a hint free rally in the state. The mammoth crowd seen at the Holy Trinity field in Onitsha is therefore evidence that the party has strong structures in Anambra State. Senator Uba while addressing the crowd, thanked the people for turning out massively to welcome the president. 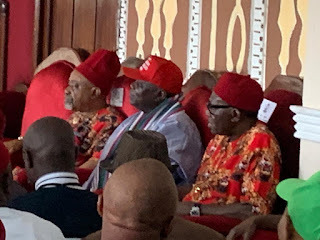 He also pleaded with them to ensure they vote for the party at the forthcoming Presidential and Senatorial election on the 16th of February. 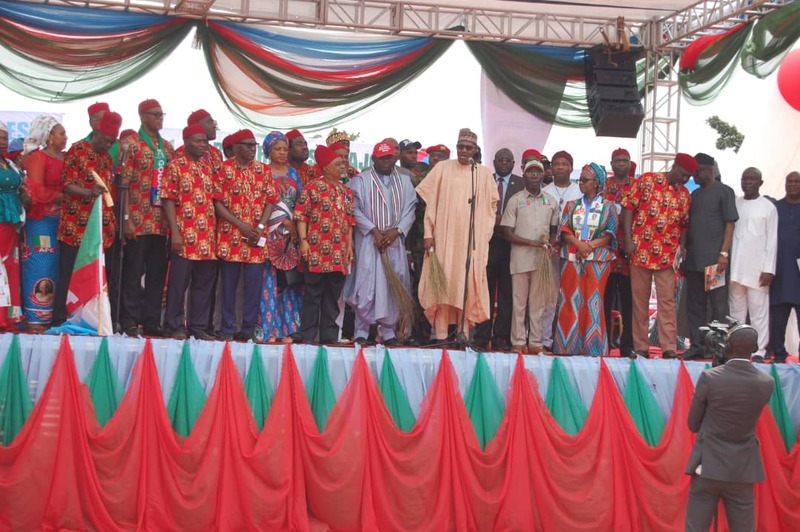 President Buhari during his speech at the rally also begged the people of Anambra State to vote for APC, saying that his government meant well for them. Buhari who spoke at a presidential campaign rally held at the Holy Trinity field in Onitsha said his government was working hard on the economy, security and the fight against corruption. 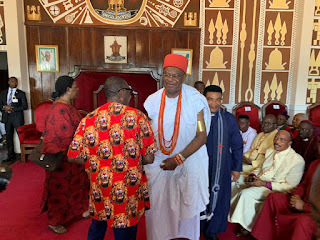 The president who first moved to the newly completed Zik’s Mausoleum, where he commissioned the project was also at the palace of the traditional ruler of Onitsha Kingdom, Igwe Alfred Nnaemeka Achebe, where he met traditional rulers in the state. Addressing a mammoth crowd which gathered at the venue, Buhari said, “I am happy to have commissioned the Zik’s Mausoleum, I am just coming from there now. The road from Enugu to here(Onitsha), which was last done during the Abacha time is being done again. The president, however, refused to make new promises of what his government would do for the people of the south-east if he returns as president of the county for a second term. The president while speaking in the area of economy lamented that there were too many unemployed able-bodied people in the country. 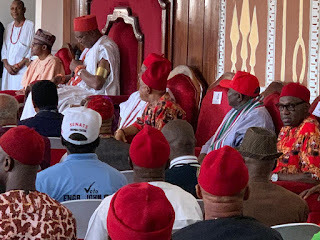 In the area of security, Buhari assured that his government was doing his best, while also stating that no local government in the North East was being held by members of the Boko Haram sect. Earlier, the minister of Labour and employment, Dr Chris Ngige listed some of President Buhari’s achievements in Anambra State to include 15,000 beneficiaries of the NPower scheme and feeding of Anambra State children in primary school through the school feeding programme. He said, “On the basis of track records, I believe that people of good conscience will vote for APC and for Buhari. 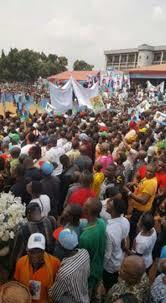 Anambra will not only vote for Buhari but for the three senatorial candidates. Last time, they allocated 19,000 votes to Buhari, but this time around, but this time around, Mr President, You will see what will happen.